We want to protect our family. So we TRY to be prepared. BUT before we know it. We’ve got a First Aid box FULL of no longer sterile dressings, expired remedies and gunged up antiseptics. But can NEVER actually find a useful sized plaster when we need one!!! So today we’re going to get back to basics. AND just keep the few things we will use. Now obviously we do want to be prepared. But most of us don’t live remotely. And even if we go camping are in easy reach of medical assistance. So IF we do need more than a plaster we can make do. Until we get that help. Without putting anyone at risk. Our ancient, expired first aid kit won’t help anyway. AND simple basics like big white hankies or wash clothes – that do NOT expire – and a bottle of water will be much more useful for making do. Simple basics win out over AND over. 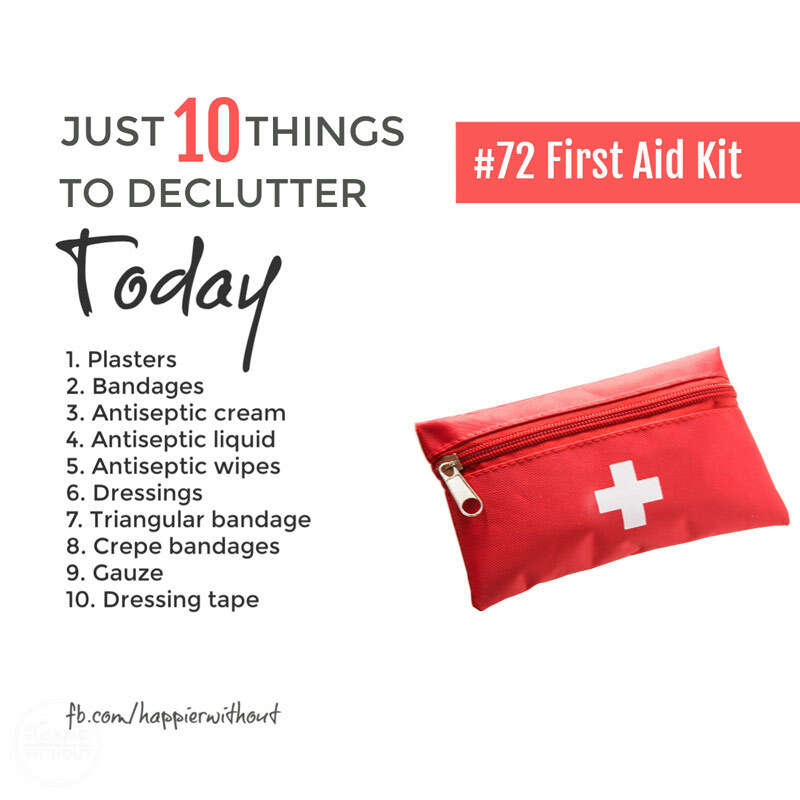 Whether it’s our first aid kit or our clothes or food or cleaning stuff or tools or toys. And it IS these things that help us make do in ALL sorts of different ways that we need to make space for in our home and in our lives.